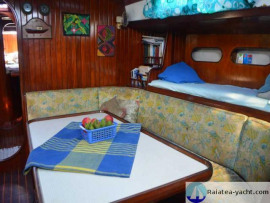 Robust, comfortable and spacious, beautiful inside arrangement. 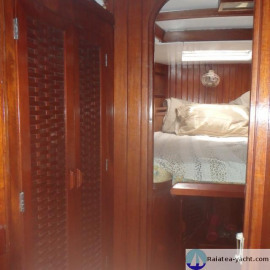 2 double cabins + 2 bunk in catwalk + 1 berth in the saloon. 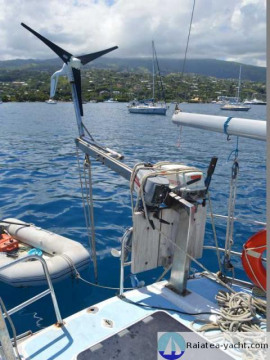 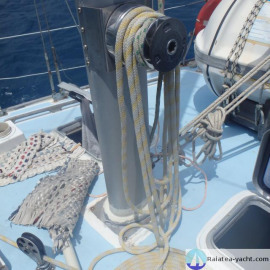 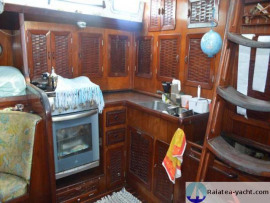 Double Aft cabin with several tidying. 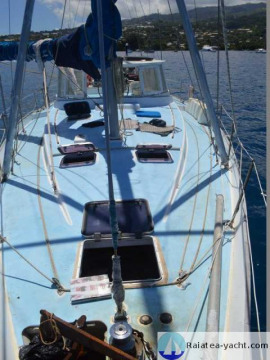 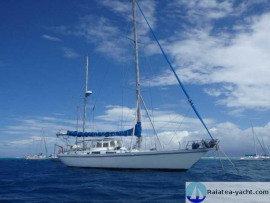 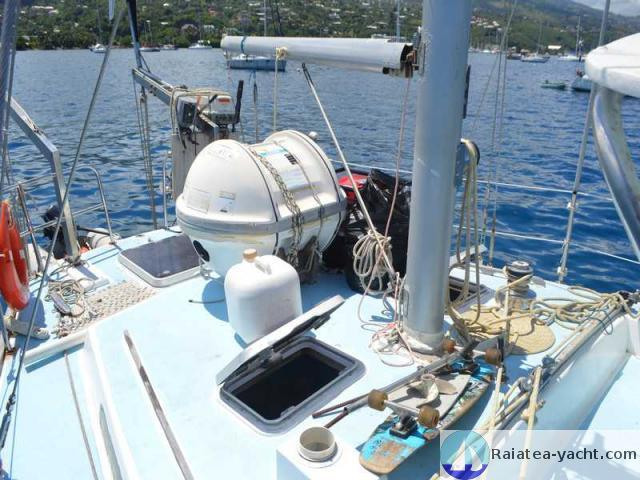 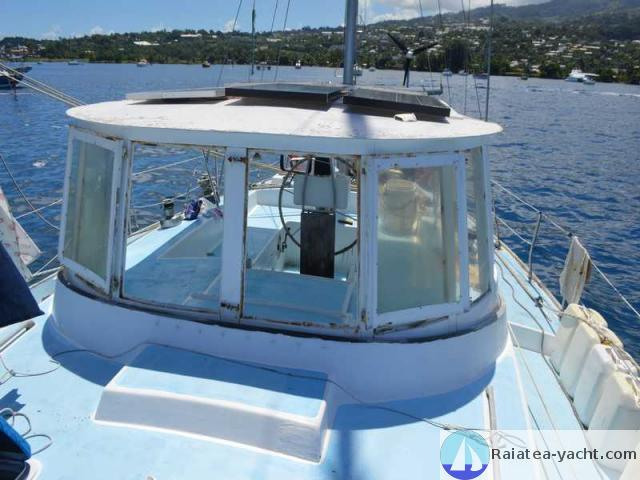 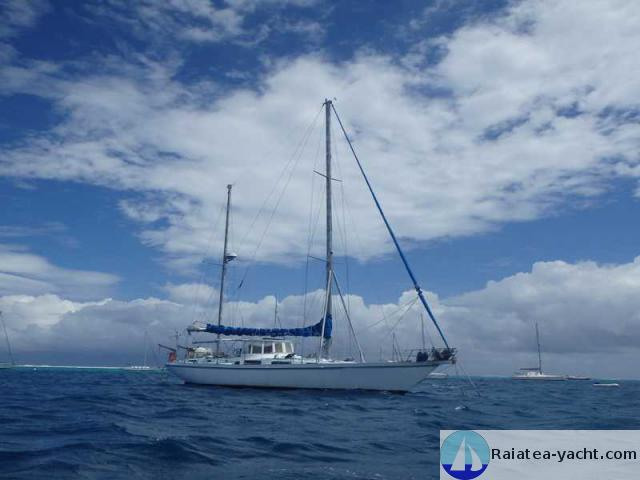 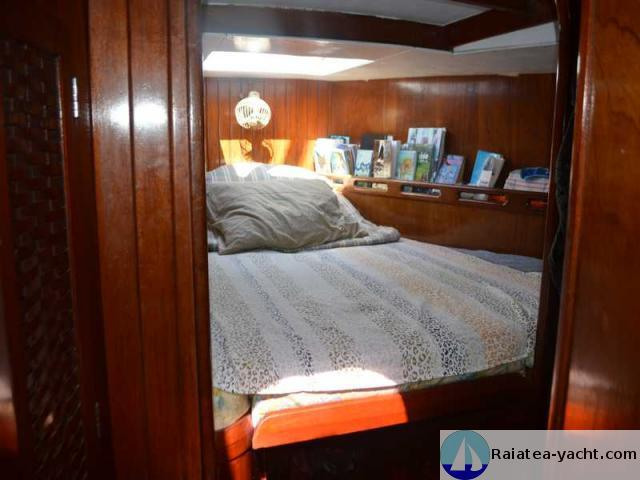 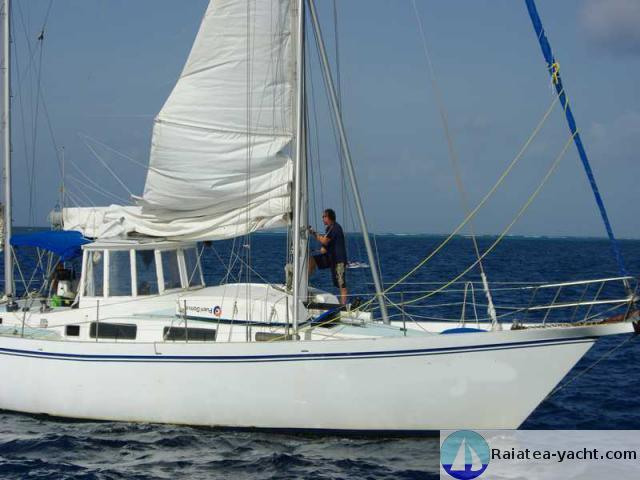 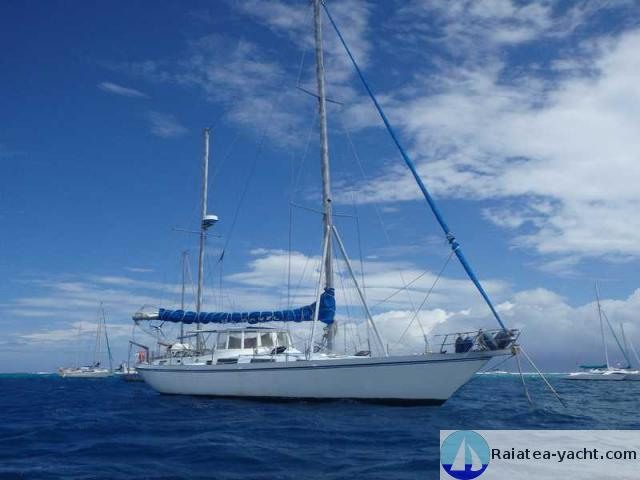 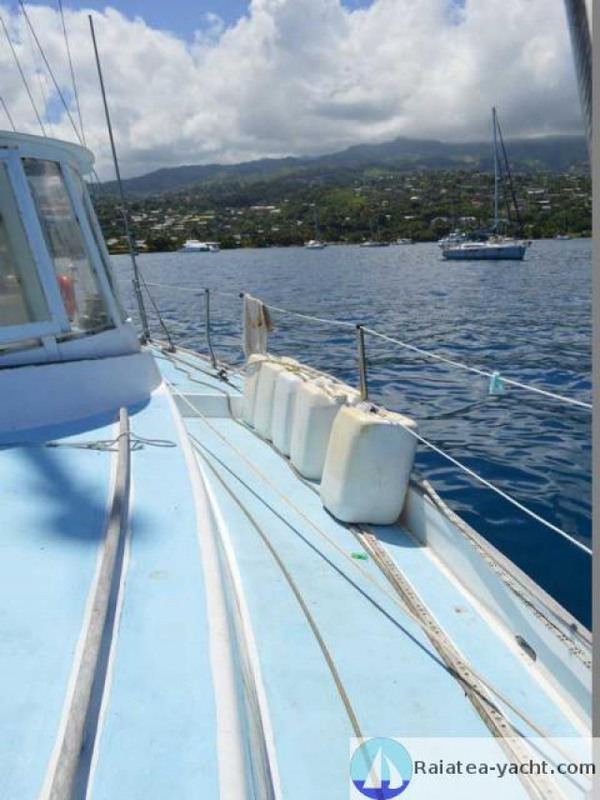 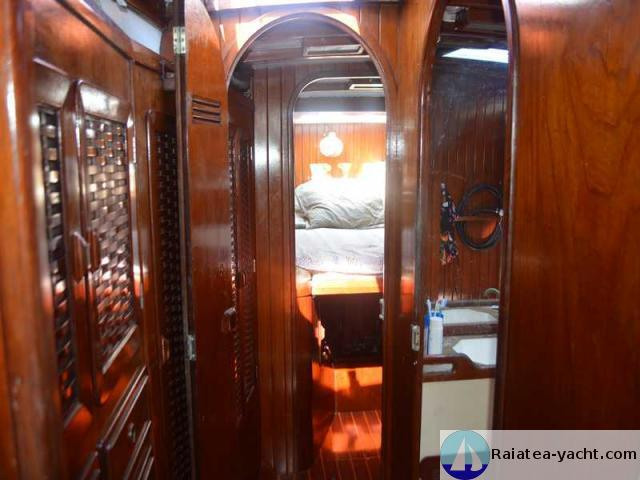 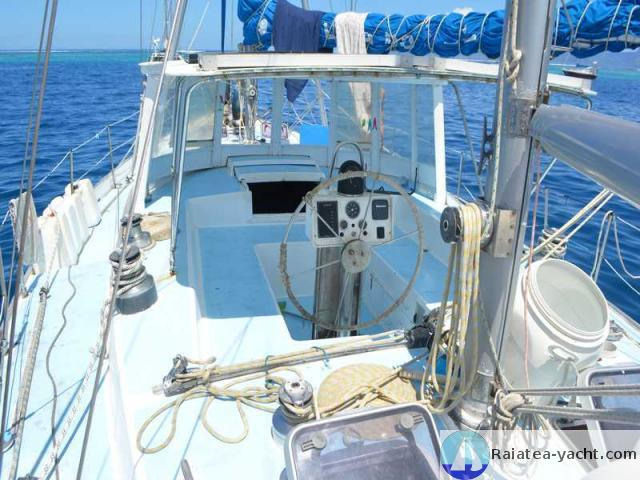 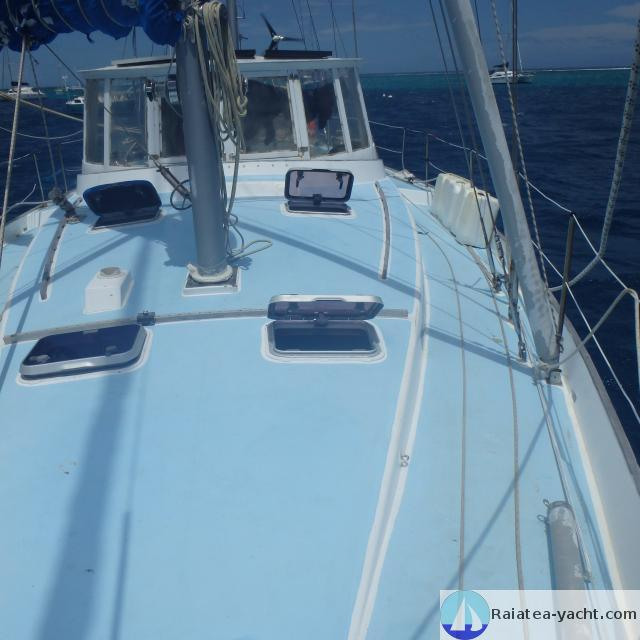 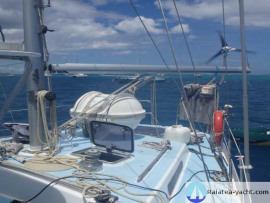 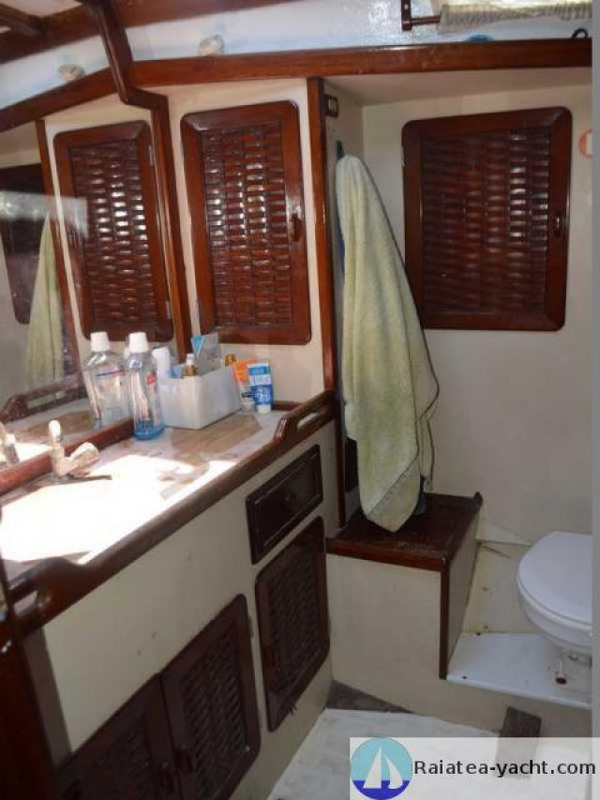 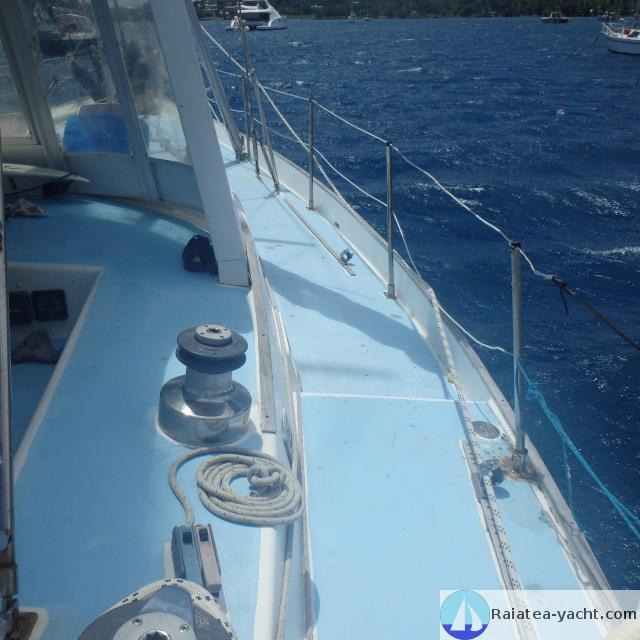 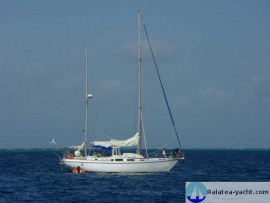 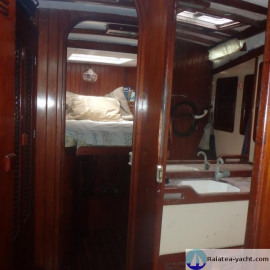 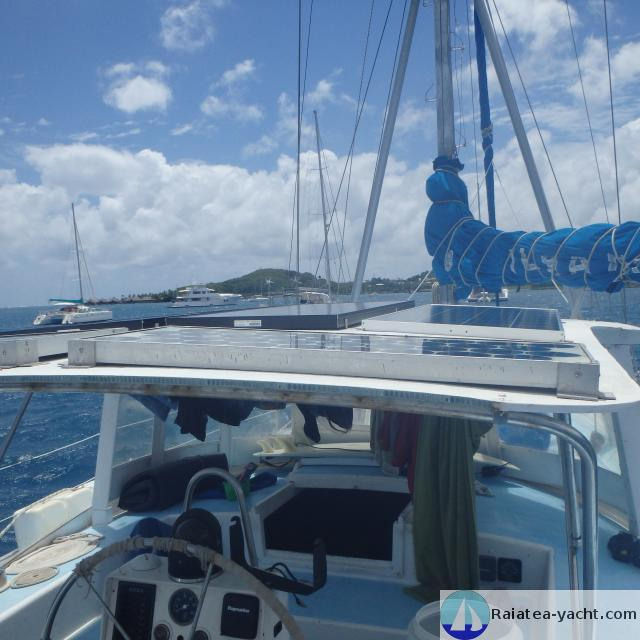 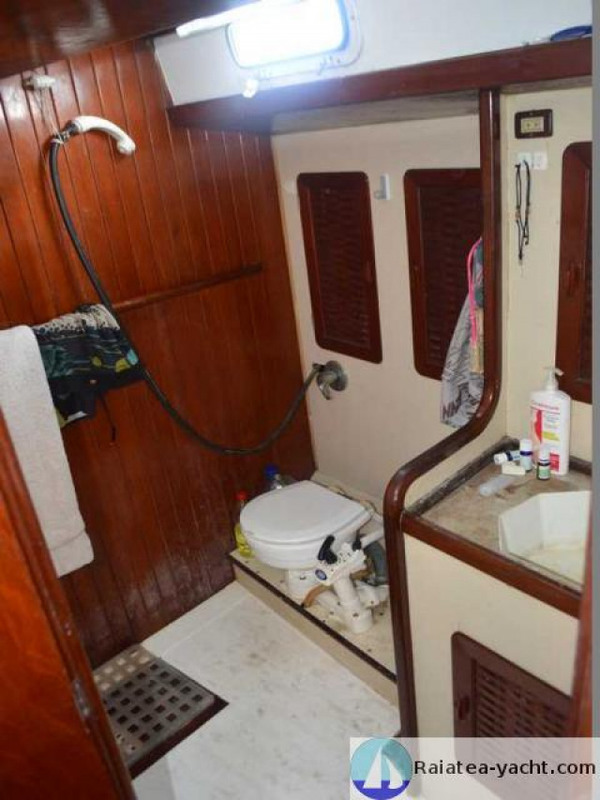 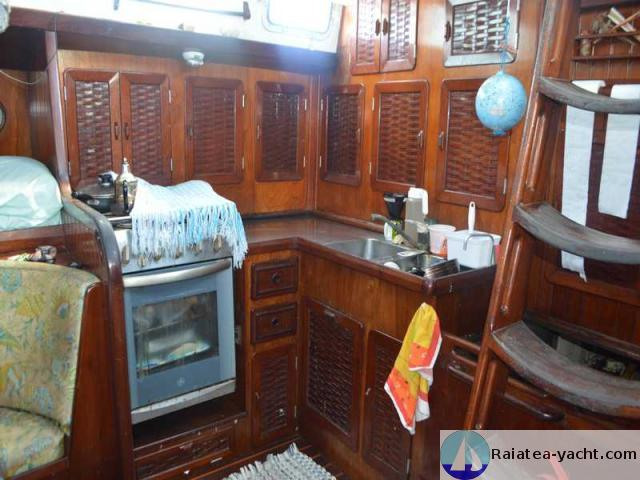 Large double aft cabin with an office, seat and many tidying. 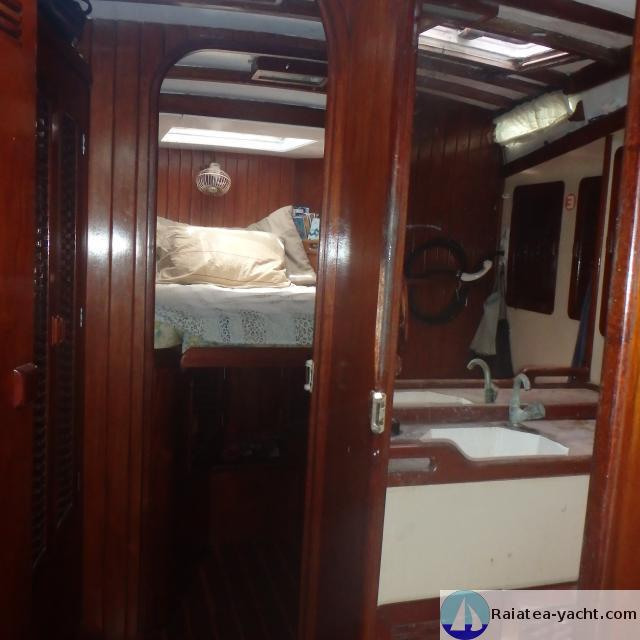 GRP ketch boat built in 1985 in Brazil in the Barcosul LTDA shipyard, according to the design of the architect Pablo Cibert. 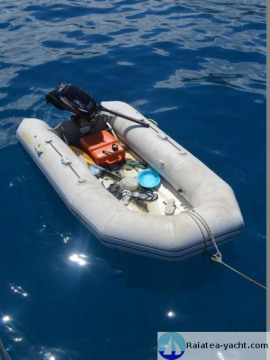 Familial boat, comfortable, robust and marin. Beautiful woodwork in red cedar. The current owner bought her in Brazil in 2005 and requipped entirely for the big trip. High sea cruiser, robust and comfortable. Safety with his central cockpit and a lower heel. 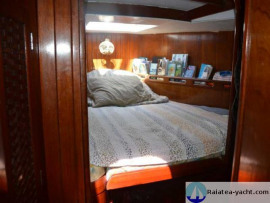 Beautiful inside arrangements, big living space, very comfortable with the family.